Usually at this time of year, all of the talk under the golden dome is budget related. However, the legislature has parted with the usual budget break to continue legislative committees and a voting session to consider hotly contested bills before the traditional budget negotiations begin. On Thursday, April 5, both the Senate and Assembly Appropriations committees will consider three bills—a nuclear subsidy bill, a clean energy omnibus bill and an offshore wind bill. Started last session, these policies have morphed along the way from one bill on nuclear credits to a giant omnibus bill to three separate bills. If passed, the legislation would create a process for the New Jersey Board of Public Utilities (NJBPU) to develop regulations for nuclear power plants that deliver electricity to New Jersey. The bill would also establish an immediate tariff of $.004 per kilowatt hour to cover the cost of the zero emission credits (ZEC). As increased costs can threaten New Jersey’s regional competitiveness, there should be consideration of offsets to neutralize the impact on business ratepayers. NJBIA has long supported nuclear power and understands that it is an important part of our fuel diversity. This must be balanced with the need for business to remain competitive. This legislation does not provide that balance in that, as presented, it fails to provide analysis for what the ultimate economic impact to the ratepayer will be. Further, it does not take into account PJM actions or the early retirement of Oyster Creek. NJBIA Position: Language does not sufficiently reflect ISO actions and reliability must-run payments would also be subtracted from any ratepayer subsidy. NJBIA Position: The current bill does not address how refunds would be processed, only that they are to be given at the end of the energy year. Language should stipulate that for current customers an on-bill credit would be given, and if a customer has moved out of the utility service territory, a prorated refund would be mailed. NJBIA Position: Instead of ratepayers being at risk for an additional cost, the BPU should be given the flexibility to increase the application fee or make it an annual fee to cover necessary costs. 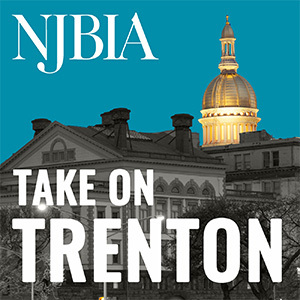 NJBIA Position: Recognizing interstate commerce issues, there also needs to be awareness that New Jersey ratepayers could subsidize out-of-state plants. 5) Effective immediately but no sunset. NJBIA Position: Language should reflect a sunset through the three-year review process and set a timeframe for when the subsidy would no longer be applicable. While the amended version allows for the Board to conduct a study after 10 years, it does not sunset the provisions in the bill. The study would only make recommendations. This policy could still remain in effect until 2048 and beyond. Due to the provision in Section 3j3c, ratepayers could still pay the tariff even if there are no certified eligible plants. NJBIA is supportive of ongoing program evaluation. At the completion of each three-year period, a report of total ZECs traded, amount of ratepayer contributions, and the environmental attributes would help to show the overall program costs and benefits. As solar RECs are currently reported on an ongoing basis, ZECs tracking could help inform the energy marketplace. NJBIA Position: Oyster Creek (OCGS) will come off line in October 2018 and its contribution should not be counted toward overall generation contribution beyond that point. With the Hope Creek and Salem running around 94 percent it is not likely that they would achieve additional capacity or efficiencies to make up the amount provided by OCGS. The calculation used in the bill should be reduced to 32 percent to reflect the loss of OCGS and accurately assess the generation each year supplied by nuclear power in state. NJBIA position: If there are no certified nuclear plants, the tariff should be eliminated for the three-year period. Customers should not have to pay a tariff only to have it returned at the end of the energy year when it is known that no plants meet the certification. This bill would require the Board of Public Utilities (BPU) to conduct an energy storage analysis, make changes to the solar renewable energy certificate program, adopt energy efficiency and peak demand reduction programs, adopt a “Community Solar Energy Pilot Program,” and provide tax credits for certain offshore wind energy projects. The bill would also require the Department of Labor and Workforce Development to establish job training programs for those who work in manufacturing and servicing of offshore wind energy equipment. While traditionally it is the Energy Master Plan that serves as the policy and planning document, this legislation makes sweeping changes to the current targets, incentives, and ratepayer obligation. Normally changes of this magnitude are done in an open setting, with months of stakeholder vetting and analysis to determine the impact on markets, ratepayer obligations, and feasibility to implement. This bill was introduced on March 22 and will be first considered on April 5. NJBIA feels that comprehensive planning and analysis needs to be done before pursuing major policy shifts such as those laid out in this legislation. The bill makes sweeping changes to the Class I targets. Within Section 2, it increases the target to 50 percent by 2030 and also creates a cap on the total obligation, but exempts offshore wind from this cost cap. Offshore wind is increased from 1,000MW to 3,500MW with a 20-year Offshore Wind Renewable Energy Credits (OREC) program continuing. The current Solar Renewable Energy Credit (SREC) program would be eliminated by June 2021 and a replacement program would be created. Interestingly, the Solar Alternative Compliance Payment (SACP) is not eliminated at the same time and decreases over time, but still remains in place after the conclusion of the SREC program. Net metering would be doubled from 2.9 to 5.8 percent. And community solar would be developed under this bill anywhere within a utility service territory. In addition, electric and gas programs aimed at efficiency measures would be required by the BPU, yet it is not clear if these would be coordinated with the Clean Energy program or current utility filings. The utilities would also be required to achieve annual reduction in the use of electricity or gas. This does not make it clear how normal customer behavior would be accounted for (i.e. one installs a smart thermostat or buys new windows). Other areas of the bill cover a voltage study and requirement for commercial buildings over 25,000 square feet to benchmark energy and water use. An analysis and report on potential for energy storage are covered in section one. Please email Sara with your thoughts on costs, impacts, and any other comments. While several incentives are covered in the Clean Energy overhaul legislation, there is a bill to continue with a pilot project in the state waters. While there is some debate on the need for a pilot since offshore wind is being developed off the coast in other states and there has already been an auction for federal waters, offshore wind still has not been developed in New Jersey. One could surmise that this legislation helps to spur the anticipated market and supply chain to meet the lofty goals of 3,500MW. NJBIA had been active in the original legislation to establish offshore wind and the OREC. These policies and the net economic benefits test are still in place.